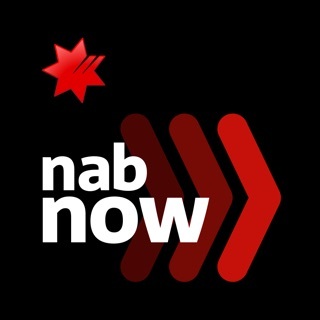 NAB’s Mobile Banking app. We’re listening to your feedback and making the app smarter, faster and more useful than ever before. • Make fast payments (also known as NPP payments) with eligible accounts - to PayIDs or BSB and account numbers. • Create PayIDs using your mobile number, email address or business number (ABN). • Pay your bills with BPAY. • Add new payees and delete those you no longer need with a swipe. • Create, cancel or modify scheduled and recurring payments. • Share your payment receipts by SMS, email or even save them to your phone. • International payments – send money to over forty countries around the globe. • All transactions are protected by NAB Defence – our security and anti-fraud system. • Control the kinds of payments that can be made with your Visa credit and debit cards. • View merchant details for credit and debit card transactions. • Lost, stolen or damaged card? You can temporarily block or unblock your card; permanently block and order a new card; or replace a damaged card instantly. • See how much is due when transferring to NAB Credit Cards. • See details of your card benefits, like rewards and insurance. • Heading overseas? Keep your cards safe by letting us know where you’re going. We’ll make sure your money’s secure. • Set up quick balance to see your account balances without logging in. • Use your fingerprint to login securely to the app. • Rollover your NAB Term Deposit quickly and easily. 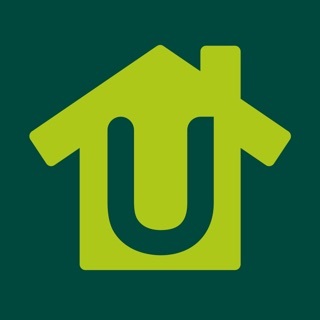 • View interest information on Home Loans, iSaver, Reward Saver & Classic Banking accounts. • If you haven't already registered for SMS Security you can do so in the app to be able to use more features and functionality. • If you share your device with someone else or want to keep your personal and business life separate, you can set up individual profiles. • Copy and share your BSB and account number at the tap of a finger. 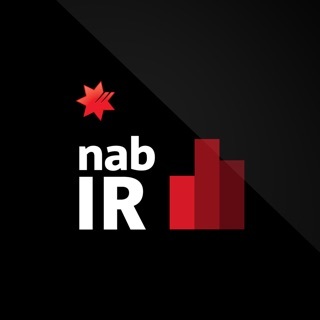 • If you’re new to NAB, you can apply for a NAB transaction or savings account through the app. • Find the nearest NAB Branch or ATM, or search by postcode or suburb. • Work out loan repayments, calculate foreign exchange and forecast savings. • Travel tools – a handy foreign exchange calculator and other tools to help you manage your spending when you’re overseas. • If you have a NAB Home Loan, you can add or change your offset account, get an estimated valuation for your property, and find out how much equity you might have. • TouchID is available on iPhone 5S or above. • You’ll be asked to provide permission for the app to access your device and app history and SMS. Permission for the device and app history allows the app to protect your mobile device against banking cybercrime. SMS permission improves the security of payment authorisation codes. Giving the app these permissions will keep your accounts safe, and ensure the app works the way it was designed. • Send us your feedback from the app. - General performance, stability and security improvements. No APPLE PAY. I have just opened an ANZ account SOLELY to get Apple Pay, which was totally worth it and only took one day. I am now going to close my Nab accounts, credit cards and nabtrade accounts and transfer all my banking including a possible future home loan away from Nab only because of their pigheaded refusal to adopt it. Given all payments basically are going contactless now they are stupid to be so stubborn. I have been a Nab customer for at least 13 years and previously a shareholder too. Before this I had been thinking of leaving due to the banking app sucking, there being no nabtrade app, customer service sucking, and not really having any sense of desire to improve the customer experience or technology. Making me pay $4 for a stupid bit of plastic to stick to my phone rather than adopting Apple Pay was the final straw. In addition to the improvements I’ve previously suggested below, I think it would be useful to be able to visualise the balance of each of your accounts over the past month, year and five years using a line graph. It would also be useful to be able to visualise the categories of your expenses e.g. groceries, fuel, cash withdrawal, etc. as a pie chart that allows you to click on each slice of the pie to see the transactions that correspond to that slice. As most BSB and Acc. No.s are sent with space and/or hyphen characters in them, I like the Transfer/Pay inputs to support pasting BSB and Acc. No.s that contain spaces and/or hyphens by either increasing the maximum number of characters of these fields and/or removing the space and hyphen characters during a paste operation. I would also like the developers to try to achieve parity with the full web browser interface e.g. ability to view messages such as outage notifications in your NAB inbox. Syc and in my experience the majority of people who write reviewes tend to be those who hAve nothing good to say and those people are generally - in my professional and personal experience.